Those who defend corporations have celebrated Daimler AG v. Bauman, a 2014 United States Supreme Court case that reduced a corporation’s litigation exposure by holding that a corporation may only be subject to general jurisdiction in its state of incorporation or where its principal place of business is located. However, this protection is easily undermined by the century-old doctrine of “registration-based jurisdiction.” Pennsylvania is the only state where registration-based jurisdiction is expressed in statute, forcing courts to exercise general jurisdiction over corporations no matter Daimler’s perceived protections. Daimler was an unusual case. Foreign plaintiffs sued a foreign corporate defendant for activities that occurred entirely outside the United States. A complex set of relationships produced the question of whether a corporate subsidiary’s contacts in the U.S. could be imputed to the parent corporation for jurisdictional purposes. The Court passed on this question, and instead issued one of the most fundamental shifts in jurisdictional doctrine in decades. Until Daimler, a corporation was amenable to a court’s general jurisdiction—that is, subject to suit on any and all claims in a state without regard to the nature of the suit—if it was “at home” in the state. For decades it was thought that a corporation was deemed “at home” in a state in three instances: (1) if the corporation was incorporated in the state, (2) if the corporation had its principal place of business in the state, or (3) if the corporation’s contacts with the state were substantial and continuous. Daimler eliminated the third circumstance, and declared that a corporation can only be “at home” in a state, and thus subject to its courts general jurisdiction, if the corporation is incorporated in the state or its principal place of business is located there. The Daimler Court did not, however, address the question of registration-based jurisdiction. As a condition of doing business, every state requires a business to register with the state. Registration-based jurisdiction is the theory that by registering to do business in a state, a corporation has thereby “consented” to that state’s general jurisdiction. This jurisdictional theory was pronounced as a viable jurisdictional basis over a century ago by the Supreme Court in Pennsylvania Fire Insurance. However, it is left to a court sitting in the forum state to interpret the state registration statute and then, if that interpretation confers general jurisdiction by registration, to decide if the general jurisdiction conferred by the act of registration is constitutional under the state constitution. Registration-based jurisdiction has been revived by plaintiffs grappling with Daimler’s limitations on general jurisdiction over corporations. At the same time, new attacks on registration-based jurisdiction have been sparked by Daimler’s declaration that overreaching general jurisdiction is “unacceptably grasping.” Yet, due to the lack of language expressly overruling Pennsylvania Fire Insurance, courts seeking to eliminate registration-based jurisdiction have been forced to do so by reading the state registration statute narrowly, eliminating a state’s power to use registration to confer general jurisdiction over the corporation. 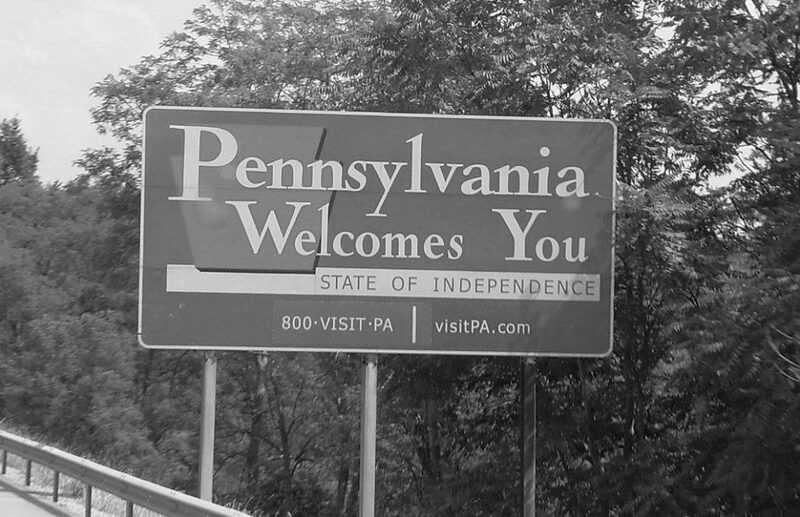 Pennsylvania is the only state that explicitly informs a corporation that by registering to do business in the state, the corporation will be subject to the state’s general jurisdiction. Pennsylvania does this in its long-arm statute. Given this explicit pronouncement by the state legislature, it would appear that a Pennsylvania court cannot construe the registration statute any other way. In 1991, the Third Circuit Court of Appeals, Bane v. Netlink Inc., expressed that registration-based jurisdiction does not violate the Pennsylvania state constitution. A 2016 decision by a district court in Pennsylvania, Bors v. Johnson & Johnson, addressed registration-based jurisdiction, holding the doctrine to be separate and distinct from the “at home” test. In Bors, the court exercised general jurisdiction over Johnson & Johnson, Inc., despite the fact that the corporation was neither incorporated in Pennsylvania nor had its principal place of business in the state. It had merely registered to do business in the state. The result in Bors is likely to continue in Pennsylvania, despite its seeming conflict with Daimler. To change the result, a higher federal or state court in Pennsylvania could reject registration-based jurisdiction as unconstitutional under the state constitution, or a higher federal court could reject the doctrine as unconstitutional under the United States Constitution. Both seem unlikely, however, given the precedent that registration-based jurisdiction is constitutional under both the Pennsylvania Constitution and the federal constitution. Furthermore, no post-Daimler court eliminating registration-based jurisdiction has done so on constitutional grounds. Instead, those courts eliminated the doctrine by construing ambiguous registration statutes narrowly, with the considerations of Daimler in mind. It appears that that option is not available in Pennsylvania. Another avenue for changing the Bors result could be that the state legislature repeals the statute. Again, this result is unlikely absent a significant corporate outcry about the application of registration-based jurisdiction. The fact that the statute was adopted in the first place, suggests the state has a real interest in preserving the doctrine. While courts across the country continue to eliminate registration-based jurisdiction in light of Daimler, Pennsylvania courts currently appear to have little choice but to exercise general jurisdiction over any corporation that has registered to do business in the state, thereby permitting plaintiffs one forum in which Daimler affords no protection. Chase A. Howard is currently a 2L who is working this summer at Cozen O’Connor. Posted in Pennsylvania Law and tagged Business Law, Litigation. Bookmark the permalink.